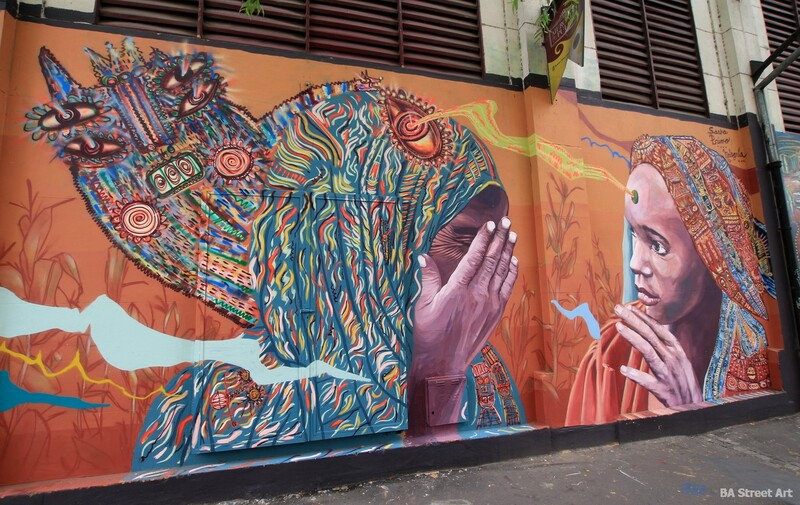 Malegria and Sasha (Primo) teamed up a couple of weeks ago to create this new mural at the Mercado de Pulgas in Colegiales, Buenos Aires. 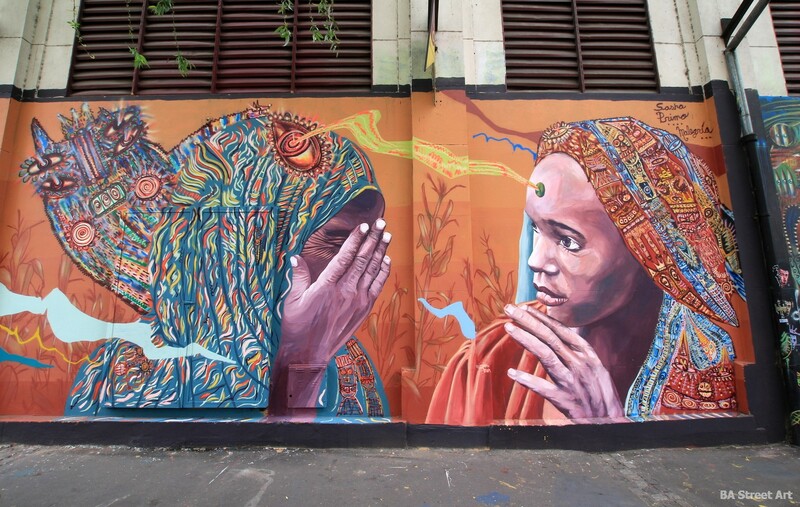 Colombian street artist Malegria has been in Buenos Aires and found time to paint one mural in Coghlan organised by Buenos Aires Street Art before completing this one with Sasha that features two women wearing head dresses with intricate patterns. 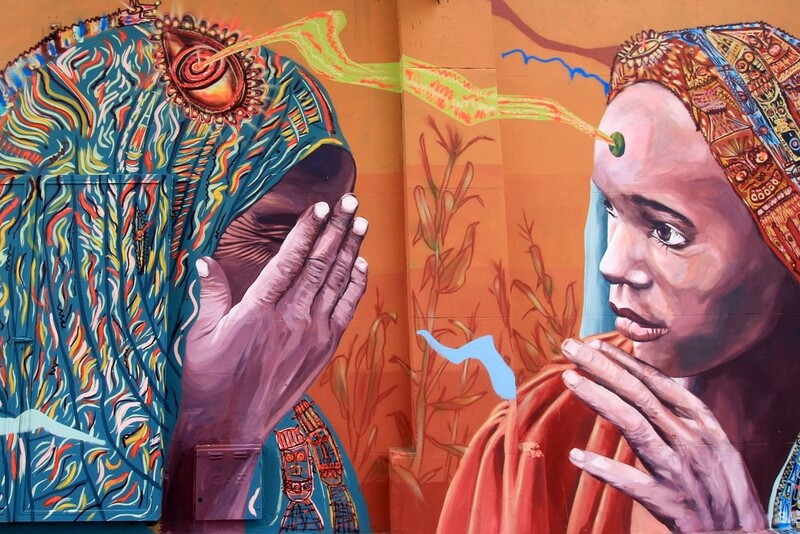 You can check out the new mural at the Mercado de Pulgas on the corner of Niceto Vega and Dorrego. This entry was posted by Richard Fenning in News.